Whales and Snails are one of the best soft play areas in Bolton for children aged between 0 and 12, and also run fabulous parties for the same age group. There are 3 different options available, but all are guaranteed fun! At the party children get 1 hour on the play equipment, 30 minutes in the party room and 30 minutes playing games. You won’t have to worry about the food at the party either. Whales and Snails will take care of that. Their yummy buffet includes sandwiches, pizza, sausage rolls and unlimited juice. Vegetarian options are available as well. They even hand out party bags at the end, give you invitations before the party and run the party games. The only thing you need to do is provide is the party game prizes! If you want the party to have a theme, then Whales and Snails offer a princess or football theme. Face painting can be done at the parties and private parties are also catered for, please ask Whales and Snails for details. Did you know that Whales and Snails don’t just hold children’s parties, they have lots of other great activities too. Between Monday and Friday Whales and Snails hold a parent and toddler group. For only £3.75 the adult will get a free hot drink and the child juice and biscuits. This only runs in term time only between 10am and midday. Later on in the afternoon, also during term time, Whales and Snails hold a fun Play and Eat session. 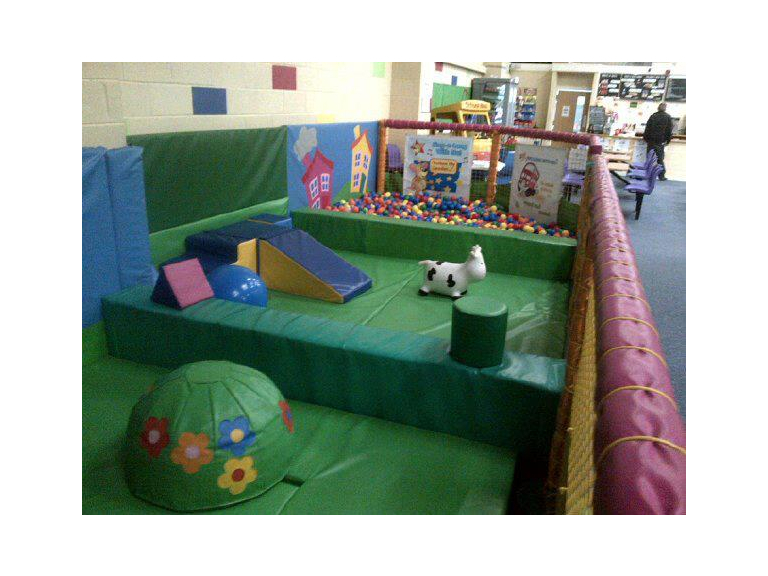 For only £5.99, kids get an enjoyable 2 hour play session, together with a kid’s meal and a drink. This is between 3.30pm and 5.30pm. Whilst your child is in the play area, you can take advantage of Whales and Snails free Wi-Fi. Or you can unwind in the café. There’s full wheelchair access to Whales and Snails and inside there’s baby change facilities, disabled toilets, play den and of course the party room. Whales and Snails are handily located in Vernon Street in the centre of Bolton. Drop in with your child.